A driveway is an important part of any property. It is the direct route to get your vehicle safely from the street to your home or business. However, the effectiveness of your driveway relies entirely upon how it was installed. Even the most trustworthy of materials can fail if the installation process was rushed or poorly executed. There are simple things things that you can look for yourself can to ensure that your concrete or asphalt driveway was done correctly. To preclude the possibility of a shoddy job in the first place, it is a good idea to check on a few points before the work has started, as well as while it is being performed. Prevention is always preferred over repairs, so make it a point to address these key factors. As with any type of construction, the foundation of your driveway is extremely important. The subgrade (the layer of soil underneath the driveway), must be uniform in both how well it is compacted and the makeup of the soil used in order to provide the best in support and evenness. 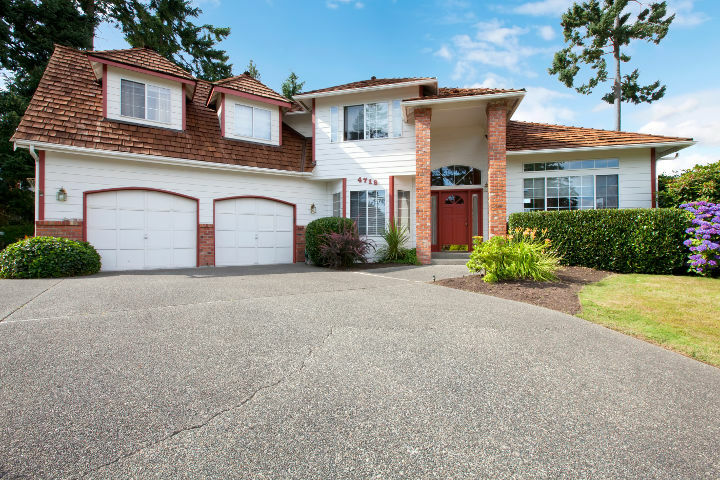 If the soil under the driveway is expansive, a layer of crushed rock or gravel, about six inches thick, is needed to help avoid residential foundation repair at home or commercial foundation repair at your place of business. Because proper compacting requires certain equipment to happen correctly, check to see what kind of machinery your contractor will use. At least a two-ton roller is needed to make sure compression is optimal. A properly-installed base is allowed to settle for at least one week, plenty of time for you to check it and ensure that it is up to snuff. 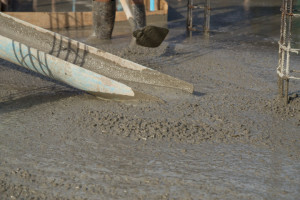 The makeup of the concrete or asphalt used is also extremely important. Be sure that the mixture will hold up to 4,000 psi, has a cement-to-water ratio of no more than .50 and an air content of about six percent. While this type of mixture may be more costly than others, it will pay for itself in the long run through the absence of annoying cracks, blemishes and outright failure. If your driveway was installed before you purchased the property, thus making it impossible to check on the aforementioned items, there are still a few things to look for to ensure the installation was top notch. Find the paperwork that came with your property and locate the jointing plan that usually accompanies a driveway installation project. Proper installation includes control joints set about an inch deep every ten feet for the average driveway, which will help head off any unsightly cracks from forming. Wherever the driveway meets an existing structure, such as the garage or sidewalk, make sure an additional joint, called an isolation joint, has been installed. One of the biggest nemesis of any driveway is water that drains improperly. Standing or pooling water can lead not only to cracks and potholes, it can also cause the driveway to collapse entirely. Ensuring that the water runs in the direction it is supposed to, called grading, is extremely easy for you to check yourself. Take a hose and run a steady stream of water down the middle of the driveway. Notice which way the water runs naturally, if it runs down and off to the sides, the grading is good. If any sections collect the water as it runs, or if it pools around the edges of the driveway, the grading is off and you can expect to run into issues down the line. For assistance with grading, review our informational service pages on residential grading and site work or commercial grading and site work. The edges surrounding a driveway need to be fashioned correctly in order to avoid cracking or crumbling as time goes on. Each edge should slope at a 45-degree angle, the perfect direction with which to direct flowing water. It is a simple prospect to eyeball the edge for the proper angle, or use a protractor for more precise measurements. One of the most neglected steps in the installation of driveways is one of the most important, curing. Curing is done by regulating the temperature and how wet the asphalt or concrete gets closely for the first week. This is usually performed by covering the driveway with sheets of plastic and applying a curing compound. An easy way to find out if your driveway was cured correctly is to keep an eye out for patterns of tiny cracks, also called crazing. Over time these patterns can worsen and can cut the strength of your driveway in half and virtually eliminate any resistance it has to abrasions. The thickness of the layer of asphalt or concrete on a driveway directly impacts how stable and strong it remains over the years. Residential driveways should be between two and three inches thick, with the latter more preferred for heavy traffic. While the edges of your driveway should be sloped, it is still an easy matter to take a ruler and measure how thick the top layer is, thus confirming a correct installation. Contact Dirt Connections For Assistance With Driveways! While correct driveway installation is most easily confirmed by being present while it happens, there are still plenty of ways to check on your own after the fact. Remember, if there is any aspect of your driveway that concerns you, be sure to call in a professional before it gets worse. Mountains of cash can be saved by simply heading things off before true tragedy strikes. For any additional questions on driveway installations using our residential asphalt paving or commercial asphalt paving services, please call or contact Dirt Connections online.